Registration to the conference “Smart City for the Citizens” is now open, early bird tickets are available! The conference is a part of Estonian ICT Week and takes place on June 1st 2016 in Tartu. 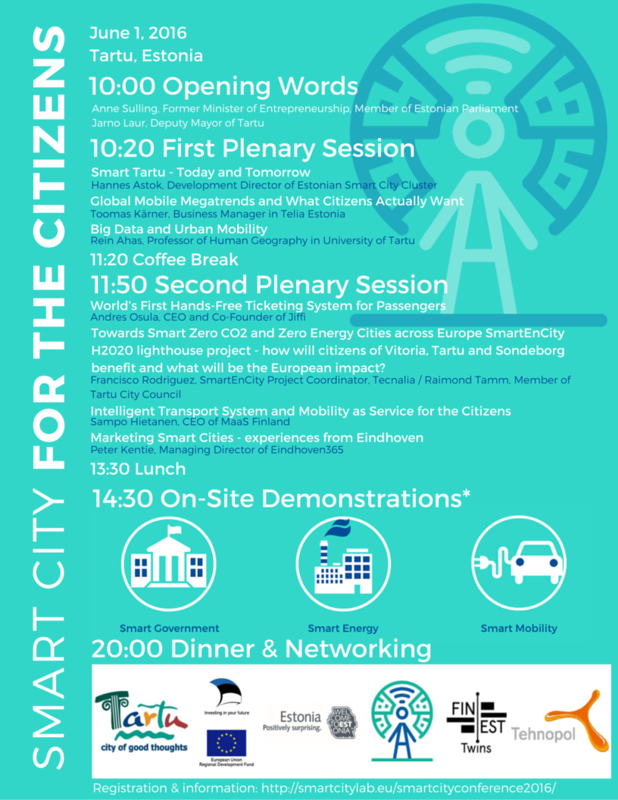 In the morning you will have a chance to hear inspiring speeches about smart cities and in the afternoon there will be many on-site demonstrations of smart city solutions in the city environment. You will find more information and registration HERE!